Level of Curling: Light to no curling. 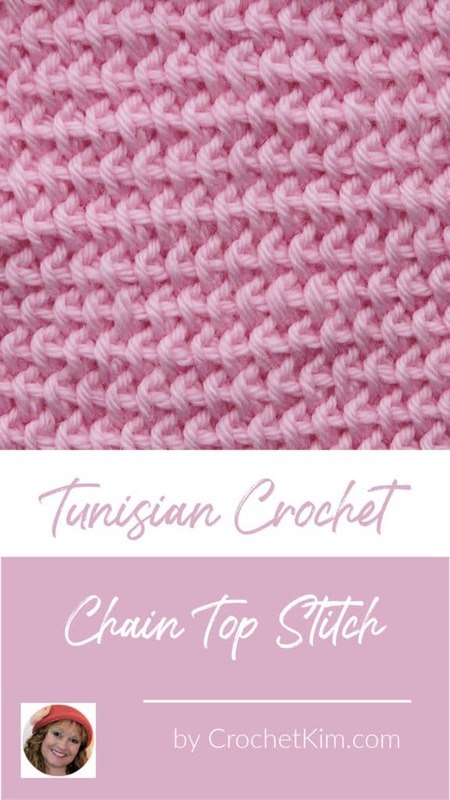 More information on the natural curling of Tunisian crochet. Tunisian Purled Two Together (p. tss2tog): Bring yarn to front as you would for a typical purl, insert hook from side to side (right to left for right-handers and left to right for left-handers) under TWO front vertical bars at the same time, yarn over, pull loop through. 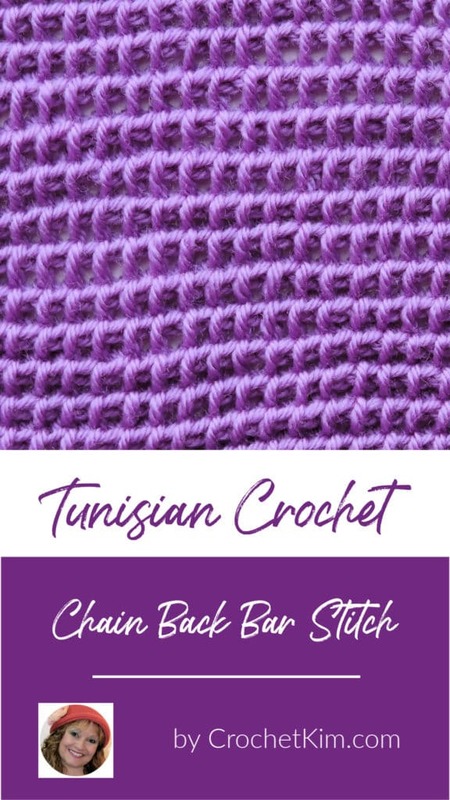 You may want to review the typical Tunisian Purl Stitch. It’s the same except the tss2tog is worked under two front vertical bars at the same time instead of just one. Tunisian Chain Top Loop Stitch (tchtls): Click here for further stitch instruction. Tunisian Simple Stitch (tss): Click here for further stitch instruction. 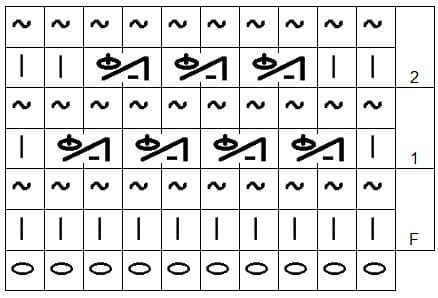 A: Ch an even number, sk first ch, *insert hook in next ch, yo, pull lp through, leave lp on hook, rep from * across. B: Ch 1, [yo, pull through 2 lps on hook] across, 1 lp remains. A: Sk first vertical bar, [p. tss2tog, tchtls] to last st, insert hook in last st under two outer vertical bars, yo, pull lp through. A: Sk first vertical bar, tss in next st, [p. tss2tog, tchtls] to last 2 sts, tss in next st, insert hook in last st under two outer vertical bars, yo, pull lp through. Rep rows 1-2 for pattern. Notes: This is a nice stitch that doesn’t curl as so often seen with individual stitches. When working a flat swatch, I will typically make the last stitch under the two outer vertical bars for stability. 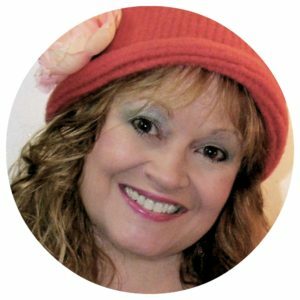 It isn’t a requirement and I don’t use it for all applications of the same stitch pattern. It’s solely a finishing technique. 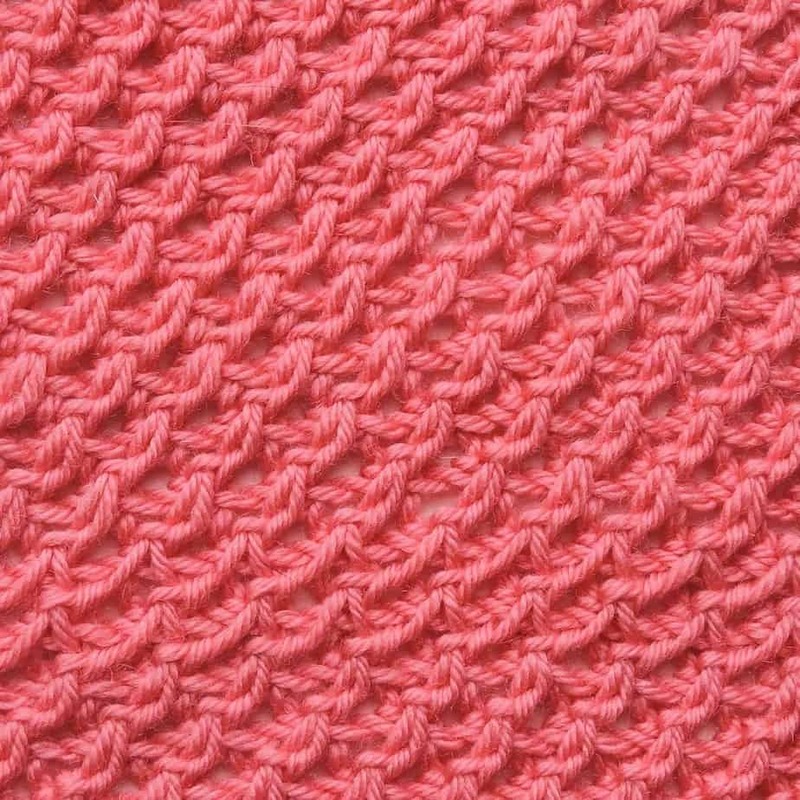 The yarn shown in this stitch is Cascade 220 Superwash Wool in color 827 Coral. Thank you to Cascade Yarns for providing the yarn for this stitch library. 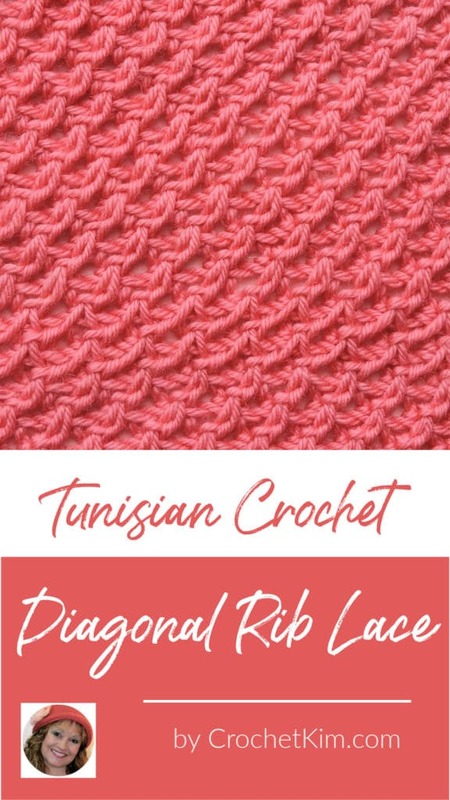 Filed Under: Learn, Tunisian, Tutorial Tagged: cascade yarn, free tunisian crochet pattern, novideo, Tunisian, Tunisian crochet, Tunisian Crochet Alternating Stitches. Suggested Foundation Typical foundation row. Instructions: For this stitch, you will work into the closing chain, sometimes known as the horizontal bar. Since these are only chains, it has the usual three bars to each chain. With the chain tipped on its side so the front bar is on top and the back horizontal bar is in the back, insert hook from front to back under the top loop of the chain, yarn over, pull loop through. Notes: This stitch tends to bias since you’re working to the side of a stitch instead of directly on top of it. If you have biasing, you can alleviate it by working in a two-row repeat like you would for the full stitch. 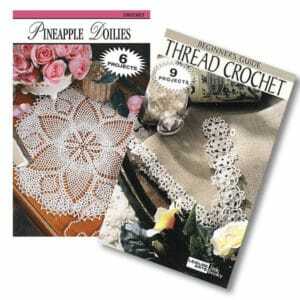 For example: work in each chain up to the last one and skip the last chain before working the last stitch. Then, on row 2 of the repeat, skip the first chain and work in each remaining chain across before working the last stitch. It’s hard to see when learning, so be certain to count your stitches. This is one of those stitches without a common name in use. It won’t be unusual to see it named many different things until something “sticks”. 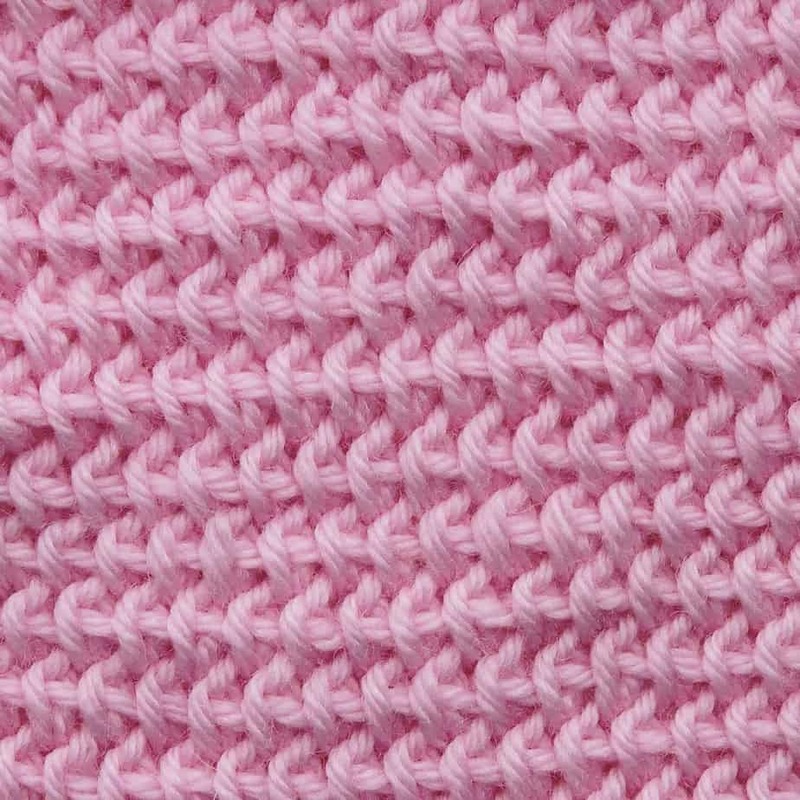 The yarn shown in this stitch is Cascade 220 Superwash Wool in color 894 Strawberry Cream. Thank you to Cascade Yarns for providing the yarn for this stitch library. 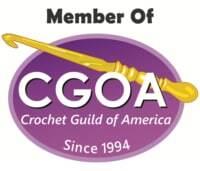 Instructions: For this stitch, you will work into the closing chain, sometimes known as the horizontal bar. Since these are only chains, it has the usual three bars to each chain. With the chain upside down so the back horizontal bar is exposed at the top, insert hook from front to back under the back bar of the chain, yarn over, pull loop through. Notes: This stitch pattern is surprising stretchy from top to bottom. It gives a very similar look as the Waffle Stitch in regular crochet when worked in an all-over repeat. 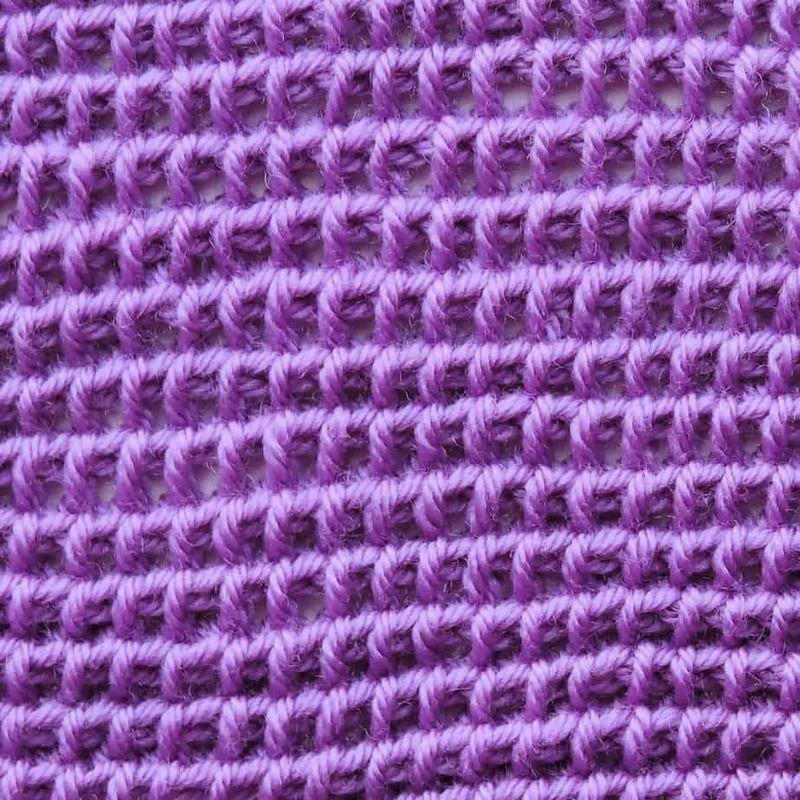 The yarn shown in this stitch is Cascade 220 Superwash Wool in color 805 Amethyst. Thank you to Cascade Yarns for providing the yarn for this stitch library.